Found 6 file extension associations related to Liquid Audio Player and 5 file formats developed specifically for use with Liquid Audio Player. 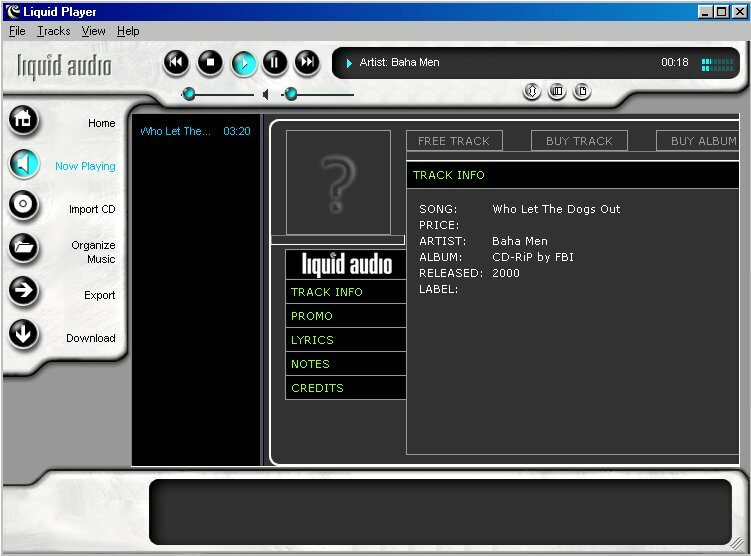 Liquid Player freeware lets you play your music in LiquidAudio, MP3, WAV, and WMA formats, but also your CDs! You can also burn CDs and manage your music with Liquid Player for free. The Liquid Audio Player software seems to be old or discontinued. If you need more information please contact the developers of Liquid Audio Player (Geneva Media, LLC), or check out their product website.